"The key is to not run towards Roar-o-saurus. Not only would a single adult running through a children's park draw unwanted attention"
It's been more than 25 years since I've been to Storyland...(oh wow, am I really that old now? )...but those pictures still bring back so many memories. I can't believe how much of the place I remember, actually. I loved Dr Geyers' Raft Ride; I thought it was the most amazing thing in the world as a kid. Those antique cars, too. My first time there, I was probably, I don't know, six years old, and it was the first time I was ever allowed to "drive" on a car ride like that, with my notoriously panicky mother in the passenger seat with me. We took the first turn out of the station and there's a solid "clunk" down as one of the rollers that keeps the car over the guide rail hit the concrete. I might have been young but I wasn't stupid. This was opportunity! After a few attempts at getting off the track being halted by the wheel itself just bouncing off the guide, I turned right when the track curved left and made a bumpy exit from the rail. Freedom! Of course that gave the ride ops a pretty good idea that something was wrong. My mother is sitting next to me acting as if we're in burning plane, and one of the ops has abandoned his station to come sprinting over, but I'm having the time of my life, really driving without a rail now! At least for the fifteen seconds before the ride op caught up and jumped onto the sideboard of the car to take over control. Canobie Coaster wrote: Just curious what parks are on your trip? It was Father's Day weekend; on Saturday, the kiddo and I left early in the morning to drive up to Maine. We started off at Funtown Splashtown USA, bopped over to Palace Playland, then drove down to Canobie Lake Park, and ended the day at Fun World (okay okay, not really a park, but it had three rides so I'm counting it dammit). On Sunday, we drove to Six Flags New England, then down to Lake Compounce, then Quassy ever-so-briefly, and concluded the trip at Rye Playland. With the exception of SFNE, all the parks were new to us and it was a fun but kinda exhausting trip. I keep meaning to write up an indepth photo TR on the whole weekend but I am so backlogged at this point. I've learned that saying you just really love coasters doesn't work in many situations. I learned that with a police officer in Indiana. I guess it looks pretty sketchy if you drive an out-of-state license plate alone in the wee hours of the morning. I wanted to get to Holiday World for opening, but despite my roller coaster shirt and tickets on the passenger seat, the officer did a very thorough search of my car for drugs. Now I try and make sure I get an in-state license plate when I rent a car. So no running in a kids park is a rule I'm going to keep. Last thing I want is to become the Flume Dog of Story Land. Rai Fox wrote: It's been more than 25 years since I've been to Storyland...(oh wow, am I really that old now? )...but those pictures still bring back so many memories. I can't believe how much of the place I remember, actually. I loved Dr Geyers' Raft Ride; I thought it was the most amazing thing in the world as a kid. Story Land closes early which makes them hard to hit, but I would have tried to fit them in on the Maine day. I do support going to Fun World since that's a really nice arcade...that of course has a kiddie credit too. Anyone who reads my trip reports knows that I enjoy a good mountain coaster. So naturally after a visit to Story Land, I needed to ride my personal favorite mountain coaster since it's just a 10 minute drive down the road at Attitash. Long known as one of New England's premier ski resorts, Attitash has the most activities of any of the mountain resort style parks I've been to. Their star attraction is probably still the old-fashioned Alpine Slide, but the Nor'Easter Mountain Coaster is what brought me in. Unlike other mountain coasters that cost $15 a ride and offer no all-day pass, Attitash actually offers an all-day pass. For $49 you can get unlimited rides on the park's mountain coaster, alpine slide, water slides, chairlifts, airbag jump, rock wall, and mountain biking. They also have a 3-6 special that sees the price drop to $35. Considering each ride costs $15 a pop, the wristband is a decent deal by comparison. I had full intentions of only riding the mountain coaster and booking it out to Whale's Tale. 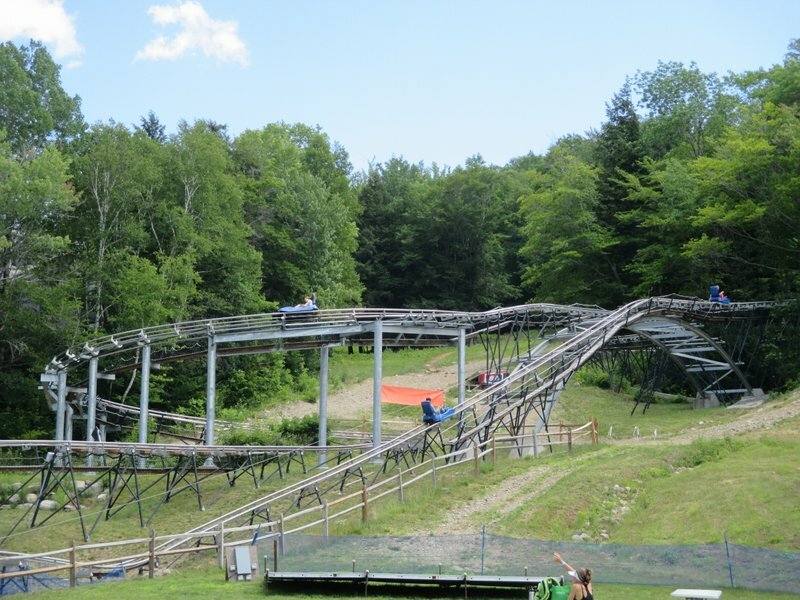 The last time I was at Attitash, the mountain coaster had a half hour wait and the other attractions looked similarly busy. 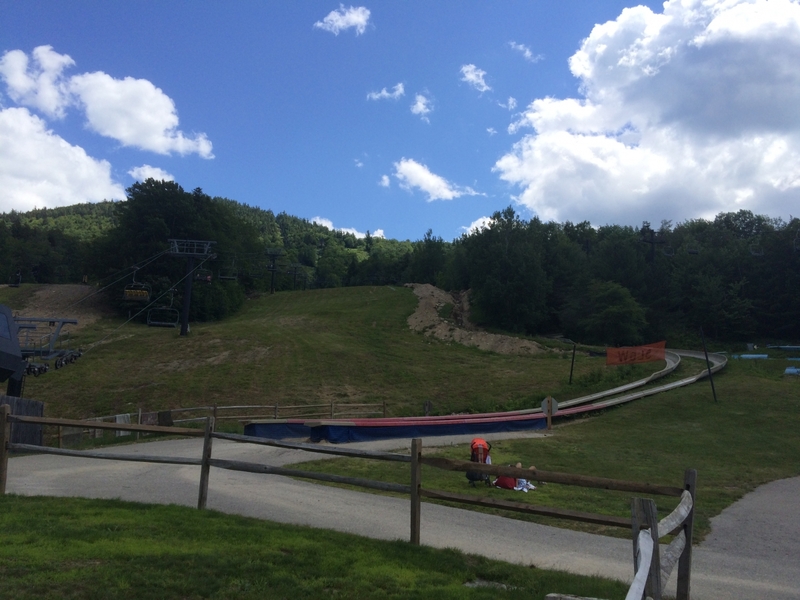 This time, Attitash seemed considerably less crowded so I decided to risk my life. 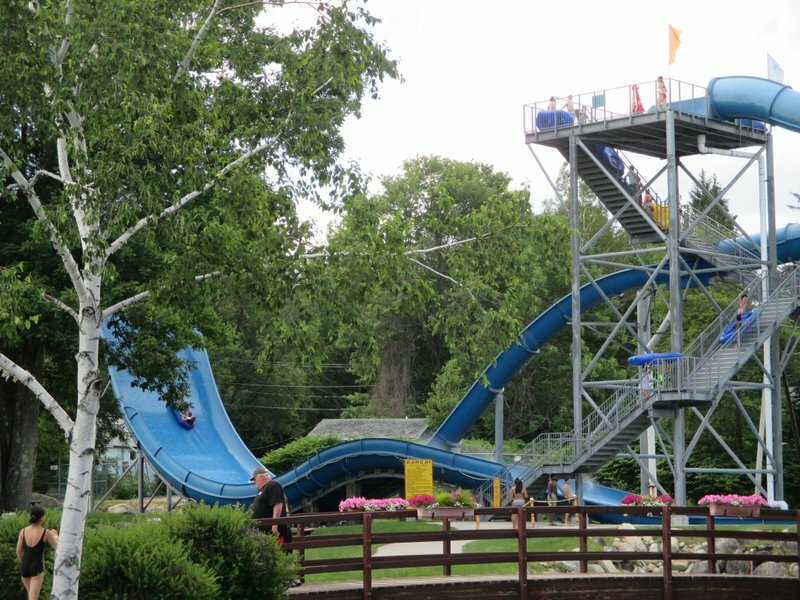 Yes I finally signed the waiver and bought a ticket for the Alpine Slide. I have heard stories from my dad and friends how they violently wiped out. My dad still has scars to this day from his crash. 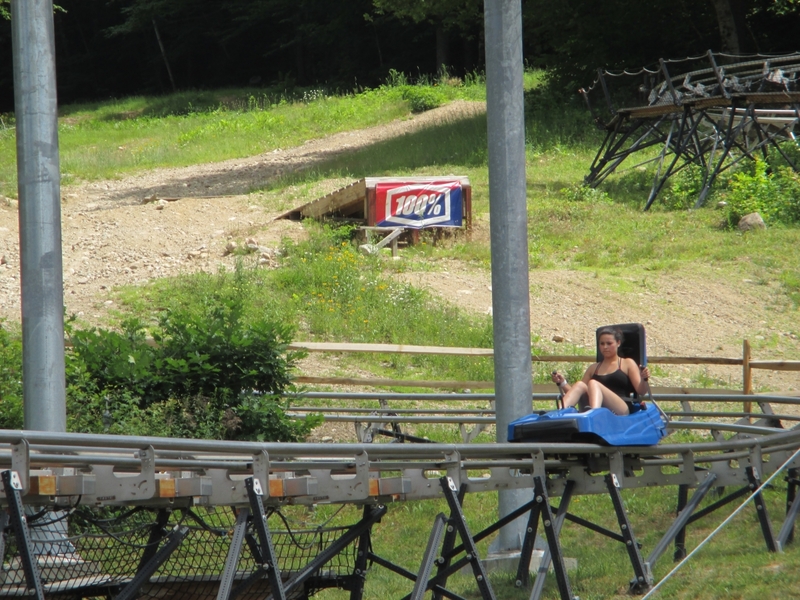 The Alpine Slide began with a long chairlift up the mountain. Since the park isn't Lake Compounce, the chairlift was open. And you know what? I didn't see a single person being an idiot since a fall from this chairlift would likely be fatal. Once reaching the top, the views of the White Mountains were spectacular. I promise they are whiter in the winter but today they were very green. 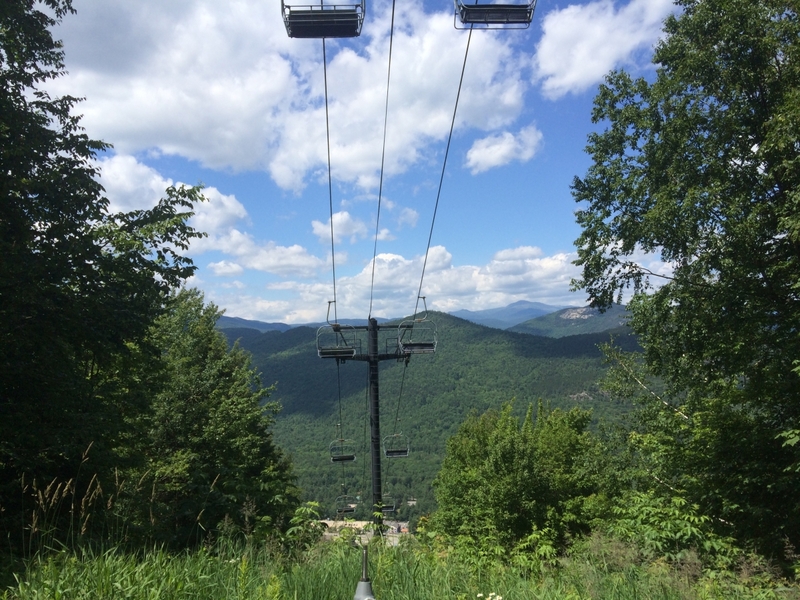 I really wish the Chairlift had backwards facing cars so I could have enjoyed this view the whole way up. After taking in the view and letting the girls ahead of me get plenty of distance on me, I grabbed the sled and was on my way down the hill. Despite the thrill seeker in me telling me to use less brake, the responsible adult in me told the alpine slide virgin to be a little careful. I wasn't going at a crawl, but I have definitely seen people fly down these at far greater speeds. I saw a few points, particularly the large drop a quarter of the way down the hill that could definitely be prime wipe out spots if someone was lax on the brakes. Still the best mountain coaster I have been on. Make sure you have plenty of space in front of you since you can absolutely fly down the hill. Morey's may say they have the Great Nor'Easter, but this Nor'Easter is better. 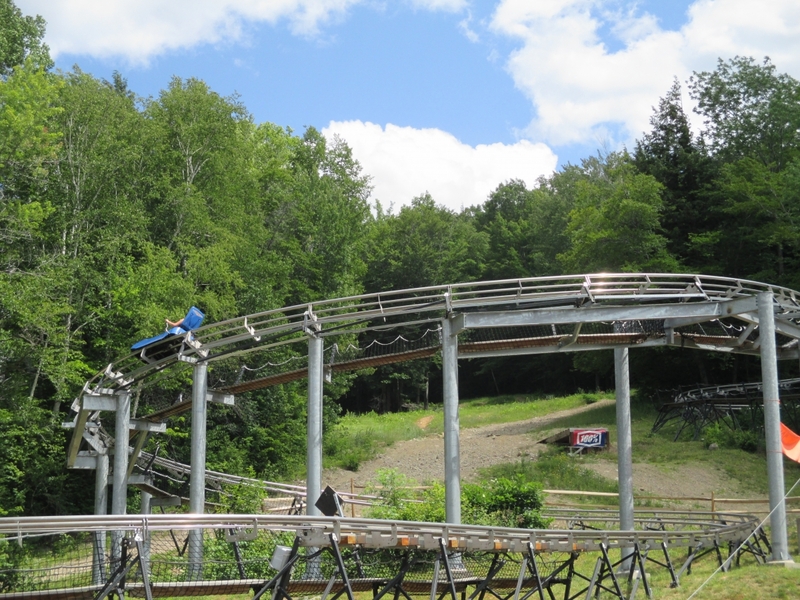 Someday I need to make a visit to Attitash where I'm not rushing to Santa's Village or Whale's Tale so I can capitalize on the wristband to perfect my alpine slide technique and continue to avoid the brakes like the plague on the Nor'Easter Mountain Coaster. I have been to every major amusement park in New England. I haven't quite been whorish enough to make it to Ocean Beach Park & Atlantic Beach Park (I could stoop that low sometime in the next year though), but otherwise I have been to every amusement park. However, I haven't been as thorough on the water park front. I've been to all of the ones attached to amusement parks, but in terms of the individual ones, I had only been to Aquaboggan and Water Wizz. 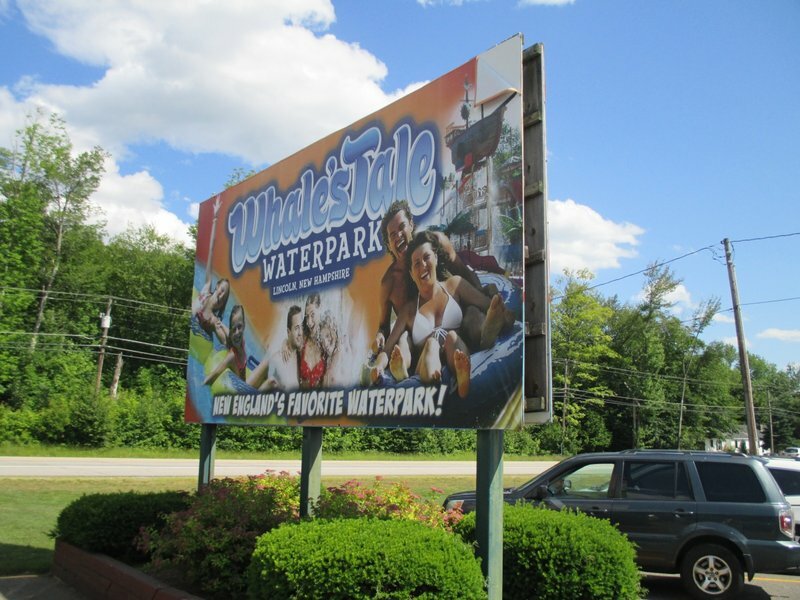 That meant I was missing New England's two largest water parks, Water Country and Whale's Tale. The former, while big, didn't have any truly unique slides for me and also appeared to have a strict double rider policy on many of the park's best slides. The latter was an hour from Story Land (aka Roar-o-saurus) and had a body bowl slide that I was looking forward to trying. 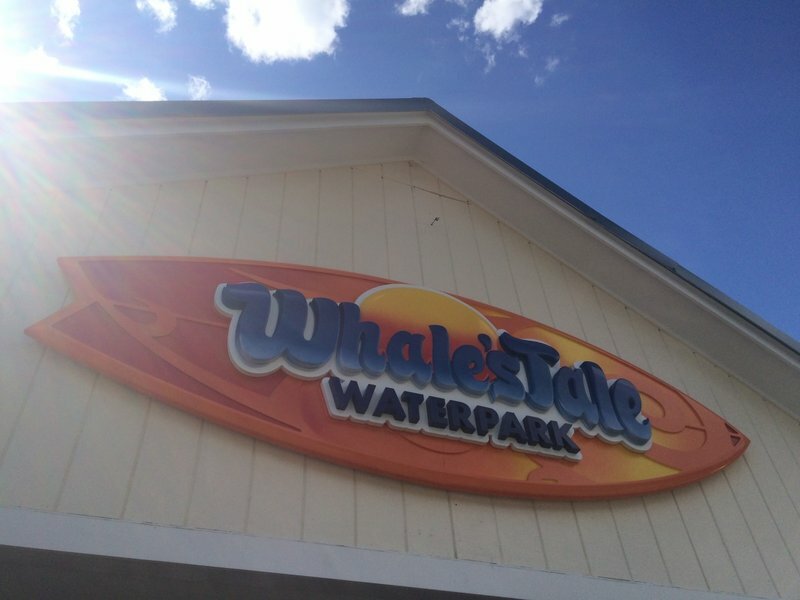 Whale's Tale also claims it's New England's Favorite Water Park because why not? Nothing like a claim that requires no evidence. So sure enough, on the way home from Story Land I took advantage of the park's after 3 pm special. 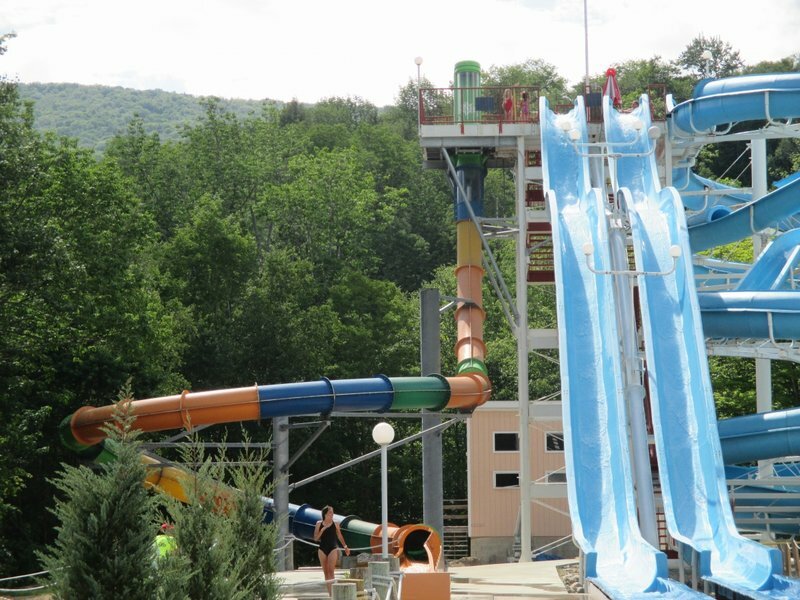 When you can't claim you're the area's biggest water park, you go with the claim that requires no objective evidence, New England's Favorite Water Park. Whale's Tale has an amazing setting, nestled in the White Mountains. The park itself is relatively compact, but it's well landscaped. The parking lot is also right by the main entrance, so after you change you can easily store everything in your car to avoid getting a fluffy, fluffy bunny filled with medicine and goo. So after changing and covering myself in layers of sunscreen since the sun hates me, I was ready to slide. My car was less than 100 feet from the entrance, so a fluffy, fluffy bunny filled with medicine and goo wasn't needed. My first stop was the slide I came for, Eye of the Storm. 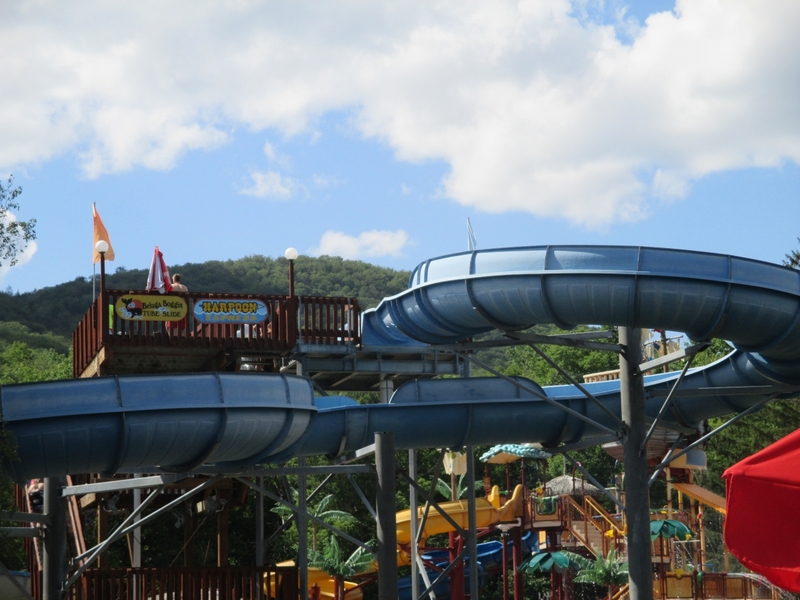 While I had been on several of the bowl slides riding in rafts, I had never been on a body slide version. I will openly admit that I am not the world's best swimmer, so the prospect of being flushed out of the bowl and then having a sizable plunge in any body orientation was pretty intimidating. Because I went later in the day and it had cooled down to 75-80 degrees, the park had pretty much cleared out so everything was a walk-on. When I reached the top of the tower, I was given the thumbs up and began the descent. The initial drop into the bowl was long and very fast. Then came every child's worst fear, being flushed down the toilet. You could definitely feel the sections of the slide when you entered into the bowl, as it was pretty rough on my back. No long term pain, but enough to slow consecutive rerides. This slide reminded me how ungraceful I am in water. Next door was the Banzai Pipeline, a half pipe slide. Unfortunately, they had a no single rider policy. It seemed every single group at Whale's Tale had an even number, so I didn't see an opportunity to pair up with a stray rider. It would be awkward to ask to borrow a child at Story Land, but I think it would be even more awkward to do so at a water park so I ruled that out. Dismayed, I rode Eye of the Storm again. 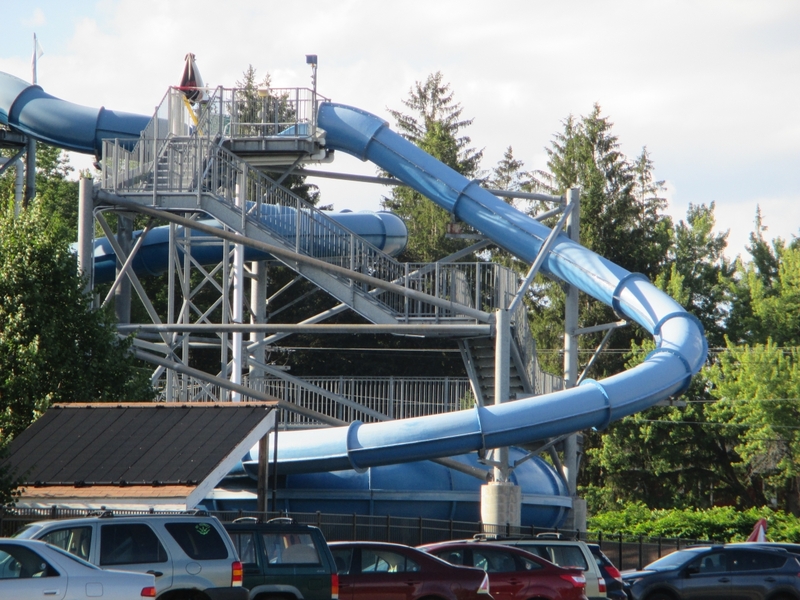 When chatting with the operator at Eye of the Storm, he tipped me off that the off that the on-break life guards hang around one of the body slides and most of them would be willing to ride with me. That's much better than riding with a child! More weight in the raft and no chance of a lawsuit. Remember how I said the employee I rode with was volunteered? After we got off, he jokingly mentioned how his supervisor screwed him over, as he had to bid farewell and sprint across the park for a shift. Let's just say that wouldn't be the last I saw of him. What a great slide! I prefer these halfpipe slides to the Tornado slides. And that's because the employee I rode with was manning the speed slide complex on the other side of the park. I didn't realize the park had added a drop pod slide, so that was a pleasant surprise. Named Poseidon's Voyage, this was one of those dropbox slides with the near vertical plunge and flat turn. After boarding the drop pod, the employee was having a grand ole time scaring everyone. He would pound on the drop pod or get right up against the glass. While waiting, it was absolutely hysterical to watch, but it did intimidate some of the younger riders. When it was my turn, I boarded the drop pod. I made sure to stare at the employee stone-faced as I awaited the countdown. However, our staring contest ended prematurely as I dropped. Every other drop pod slide I've been on has a countdown, but Poseidon didn't which completely caught me off-guard. I personally enjoyed not having the countdown since it kept me completely off-guard like a drop tower. The multi-colored slide on the left is the drop pod slide. I was absolutely shocked there was no countdown. It was great! Whale's Tale has some very awkward runoff areas on their older body slides. Lots of twists and turns, but no drops. I also tried the park's newest attraction, Yakua Beach. This is one of those flow riders. I went on one 9-10 years ago back at the Great Escape Lodge and didn't really enjoy it. I spectacularly wiped out and then had the boogie board shoot into my chest like a diet Pespi-Mentos rocket. Was it any better this time? I did the first part again since with age I've become even more uncoordinated in the water, but at least I Matrix dodged the boogie board this time. Overall, Whale's Tale is a very good water park. Like most of us, I am more of an amusement park person and wouldn't really want to spend an entire day at a water park. The after 3 special is a very good option since the park is small enough that you can easily hit everything and if the lines I encountered on a Sunday were any indication, you won't have to wait long either. The park has a great collection of slides, looks nice, and has some awesome employees. Cool looking water park with the added bonus of not being packed to the gills with long lines. Nice report. Even though I have no idea what the other park you have been to is like, I would have trouble with going to a park named Water Wizz. Is that for real? lol. 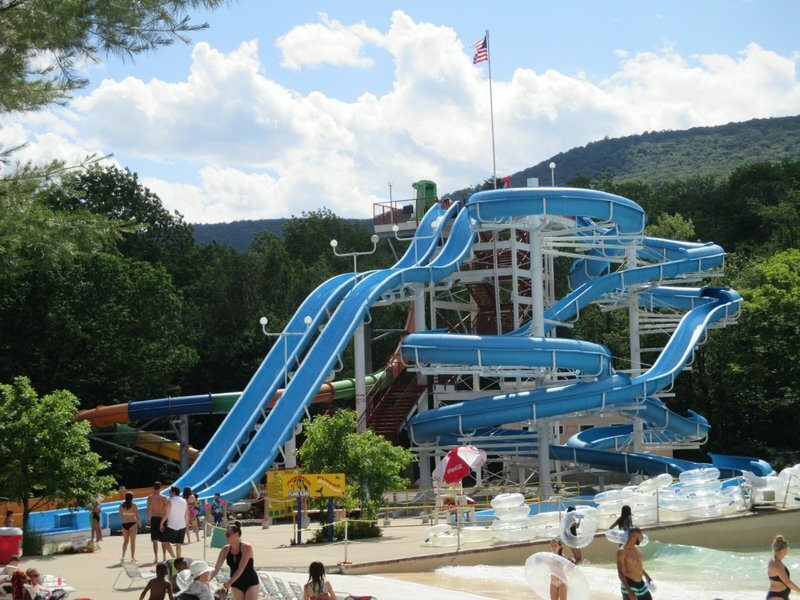 There are actually two Water Wizz parks and they are very real. I've been to the larger one on Cape Cod. They have a few decent speed slides and some great mat slides on a hill. They also have a small one in Rhode Island right by the beach. Water Wizz is actually the park shown in the movie Grown Ups if you have seen it. Though if you haven't, don't watch that movie since it's terrible. Kevin James acts out Water Wizz very well if you catch my drift. I tried not to think about the name while I was there and avoided the wave pool at all costs. Having no countdown would be amazing. I've only been on one of those slides but was (slightly) disappointed that there was a countdown. Those Alpine slides are fun as hell. I've only been on one when I was much younger, and with the recent influx of (much safer) Alpine coasters I'm surprised those slides are still around. That place looks like somewhere I'd want to check out in the future. Great surroundings, too. Yeah, the Great Escape Bobsled really has a way of sucking you in and screwing with your plans. Whenever we visit it's for an hour or two and it's dispatch times are atrocious but it's the only good steel coaster in the park so we usually end up wasting a ton of time standing in line for it anyway.